To upgrade or replace? 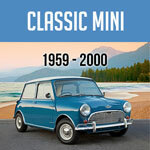 If your Mini is starting to run a little 'rough', approaching high mileage, or you noticed your gas mileage falling off - the ignition system is one of the three main areas (air, fuel, & ignition) that you need to inspect. You can replace your existing coils and plugs with factory or factory equivalent (aftermarket) options OR you can replace with upgrades that will be even better than the day you bought your car! 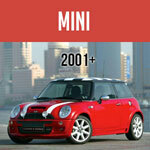 Browse our selection of ignition upgrades and replacement parts for your Gen1 MINI below.